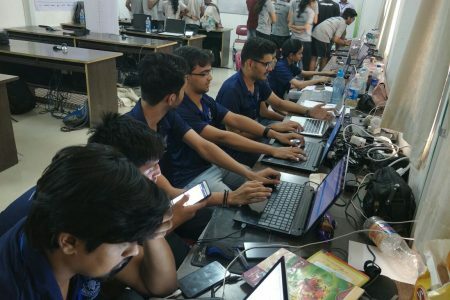 Tanmay Talele, Nishant Pimpale, Juilee Bhombe and Aashish Jethwa for securing Top Position at competition based on IoT(Internet of Things) organized by Innovians Technologies and Technex’19, IIT Varanasi held at Thadomal Shahani Engg college and are selected for the Grand Finale at Technex’19 to be held at IIT Varanasi. 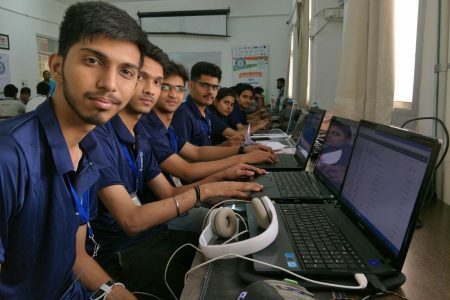 They are one of the selected teams across India. 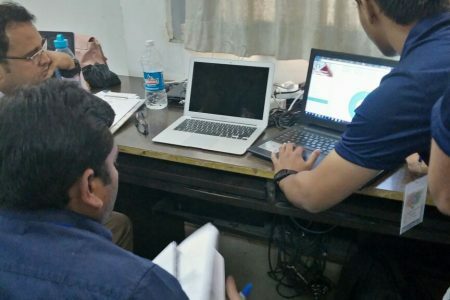 Sahil Khedaskar, Mohit Rokade, Bhargav Patil presented paper on “Intelligent System For Aiding Farming Process” in 2nd IEEE International Conference on Inventive Communication and Computational Technologies (ICICCT), Coimbatore, March 2018. Siddhi Naik presented paper on “Tweet Summarization: A New Approach” in 2nd IEEE International Conference on Inventive Communication and Computational Technologies (ICICCT), Coimbatore, March 2018. 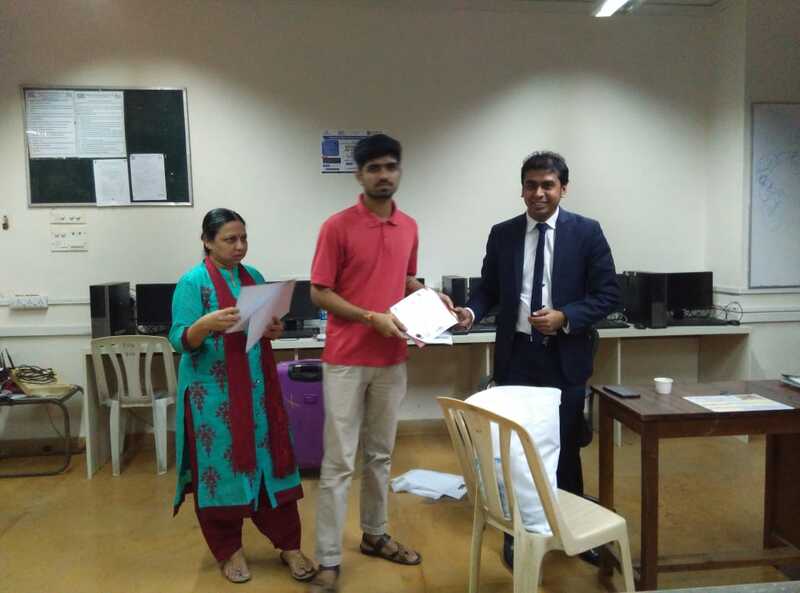 Shubham Patil presented paper on “Repository file transfer: A new compound file encryption technique” in 2nd IEEE International Conference on Inventive Communication and Computational Technologies (ICICCT), Coimbatore, March 2018. Aishwarya Sarkale, Kaiwant Shah, Anandji Chaudhary presented paper on “An Innovative machine learning approach for object detection and recognition” in 2nd IEEE International Conference on Inventive Communication and Computational Technologies (ICICCT), Coimbatore, March 2018. Nidhi Umashankar Tripathi presented paper on “Estimation of frequent products in Online Shopping using Data Mining” in 2nd IEEE International Conference on Inventive Communication and Computational Technologies (ICICCT), Coimbatore, March 2018. 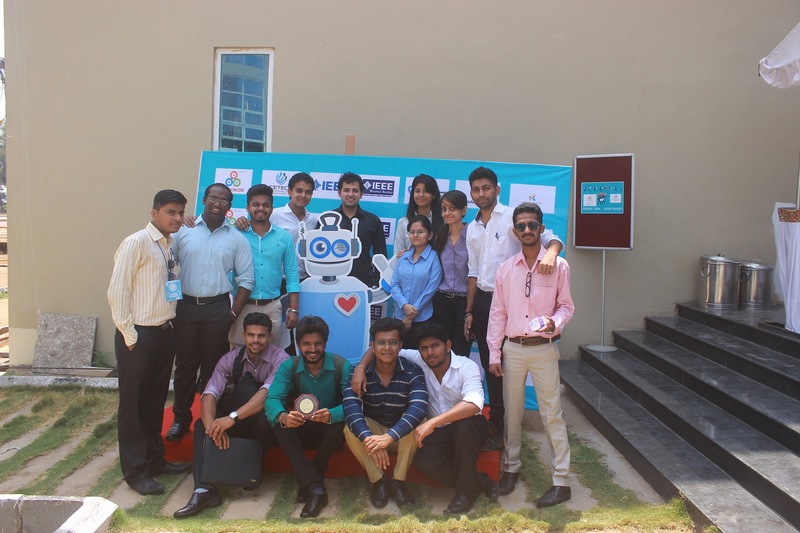 Shreyas S. Wankhede, Ranjit S. Patil, Sagar R. Sonawane presented paper on “Data Preprocessing for Efficient Sentimental Analysis” in 2nd IEEE International Conference on Inventive Communication and Computational Technologies (ICICCT), Coimbatore, March 2018. 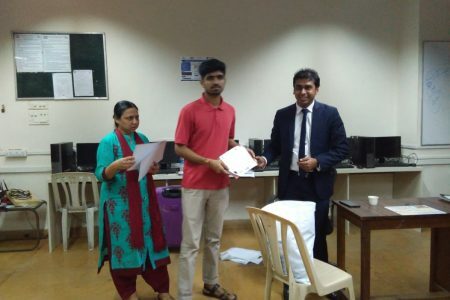 Shiv Dhar, Suyog and Kishan presented paper on “Sentiment Analysis Using Neural Networks: A New Approach” in 2nd IEEE International Conference on Inventive Communication and Computational Technologies (ICICCT), Coimbatore, March 2018. 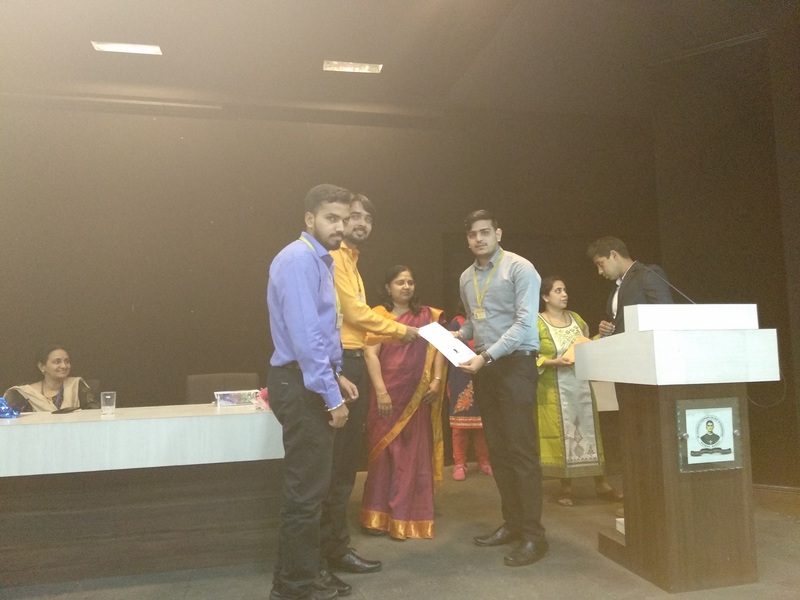 Jay S Yadav, Abhishek S Sheregar, Viraj Panjri, Sagar Gharat presented paper on “Secure Approach For Encrypting Data” In International Conference On Smart City And Emerging Technologies (Icscet 2017), January 2018. Ritu Karan, Kavita Shirsat, Pooja Kasar presented paper on “Sentiment Analysis on Twitter Data: A New Approach” in 2018 IEEE International Conference on Current Trends towards Converging Technologies, Coimbatore, March 2018. 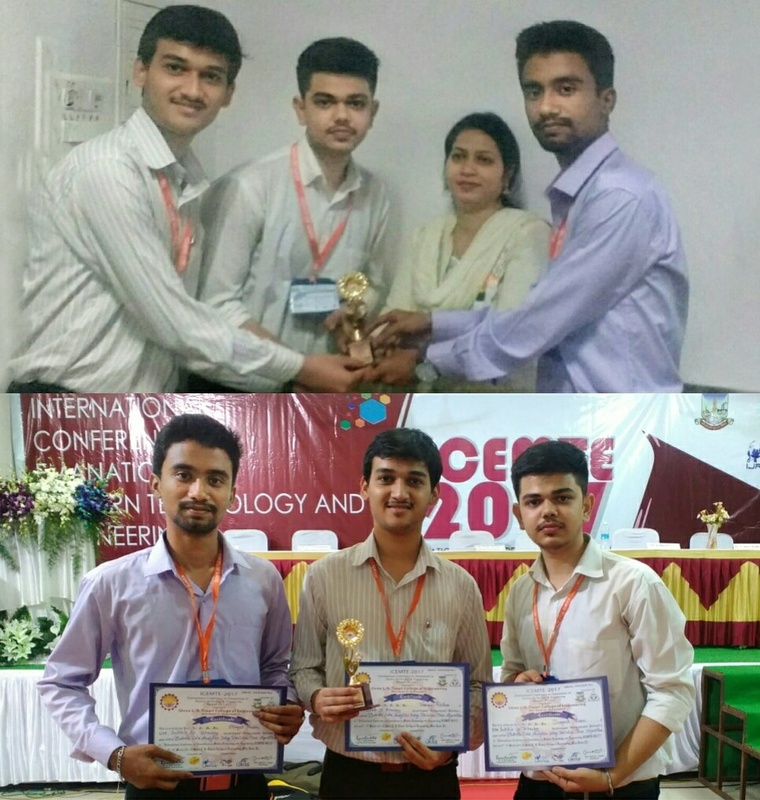 Akshay Bhavsar, Jitin Nair, Abhishek Upadhyay presented paper on “Innovative Approach For Identification Of Suspicious Images” in 2nd IEEE International Conference on Computing Methodologies and Communication (ICCMC 2018). 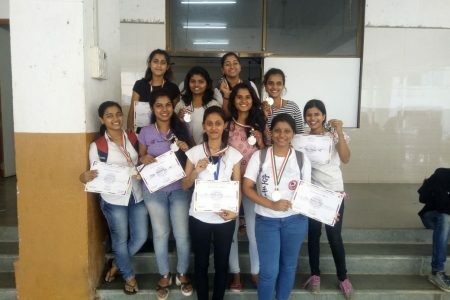 Ujavala More, Kajol Sangale, Sakshi Gupta presented paper on “E-Ration Distribution System” in 2nd IEEE International Conference on Inventive Communication and Computational Technologies (ICICCT), Coimbatore, March 2018. 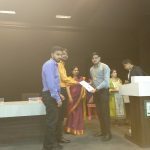 Shivam S.Gupta, Gagandeep Dhanjal, Shridhar Bambardekar presented paper on “Data Security using compressed classical technique” in IEEE International Conference on Smart cities and Emerging Technologies ( ICSCET), March 2018. 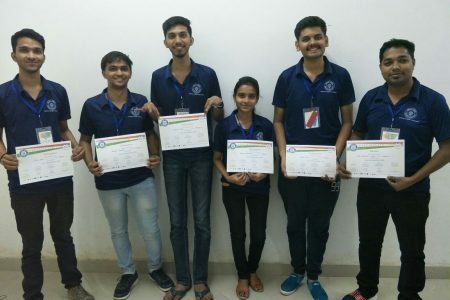 Tanmay Talele, Pallavi Maity, Hemangi Malgaonkar, Manthan Kansara, Shyam Gupta and Nishant Pimpale were selected and competed in the Grand Finale of the Smart India HACKATHON 2018 in Udaipur, Rajasthan at the Techno India Institute of Technology. 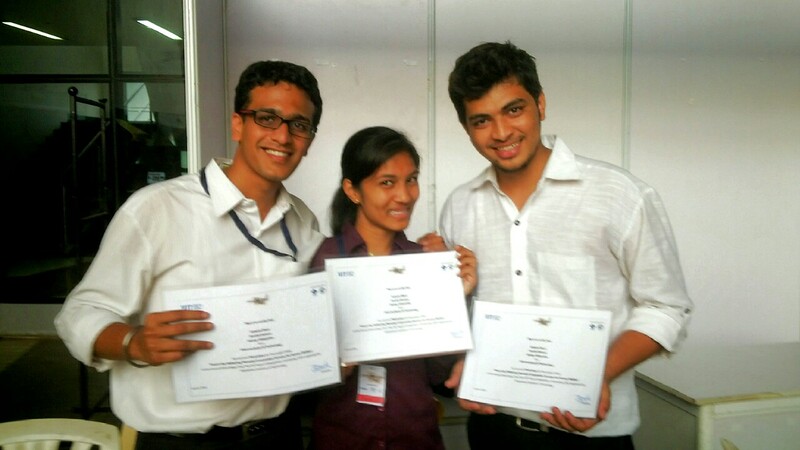 They were one of the 41 teams across India who worked on the problem statement of ministry of Indian Railway. 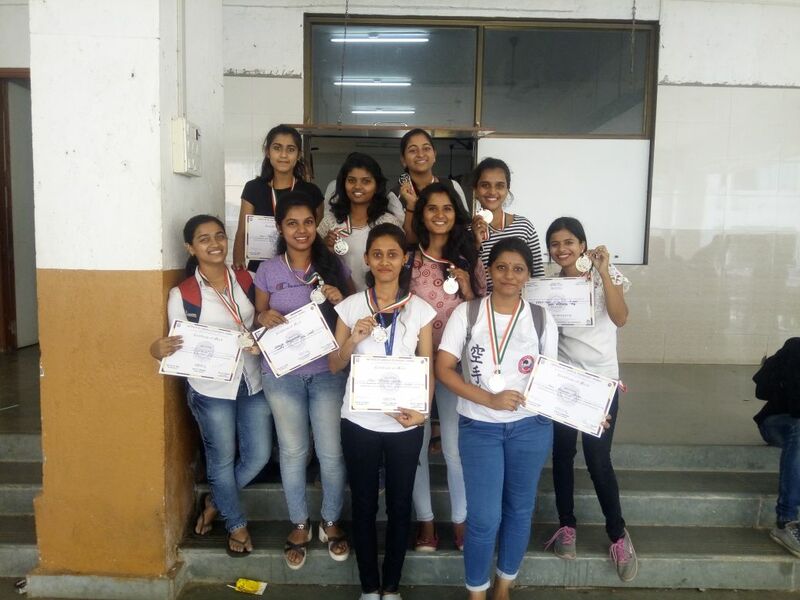 Sheetal Rasal, Priyanka Shinde and Shriya Narvekar Participated In Inter-College Girls Over-Arm Cricket Competition Held At ICT College (Matunga) On 24th Feb., 2018 And 25th Feb., 2018. 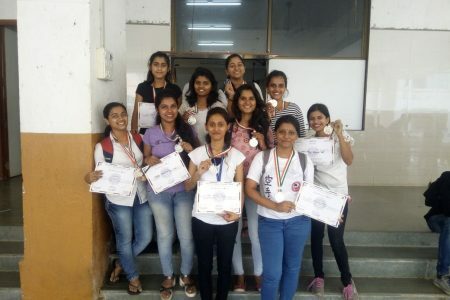 They Were Awarded With Silver Medals And Certificates For Securing Runner-Up Position In The Event Girls Over-Arm Cricket Held During SPOSTSAGA 2018 At Institute Of Chemical Technology. Shreyas S. Wankhede, Ranjit S. Patil and Sagar R. Sonawane, won the 3rd Place in the National level Technical Project Competition, 2018 organized by IEEE CRCE held at Fr. 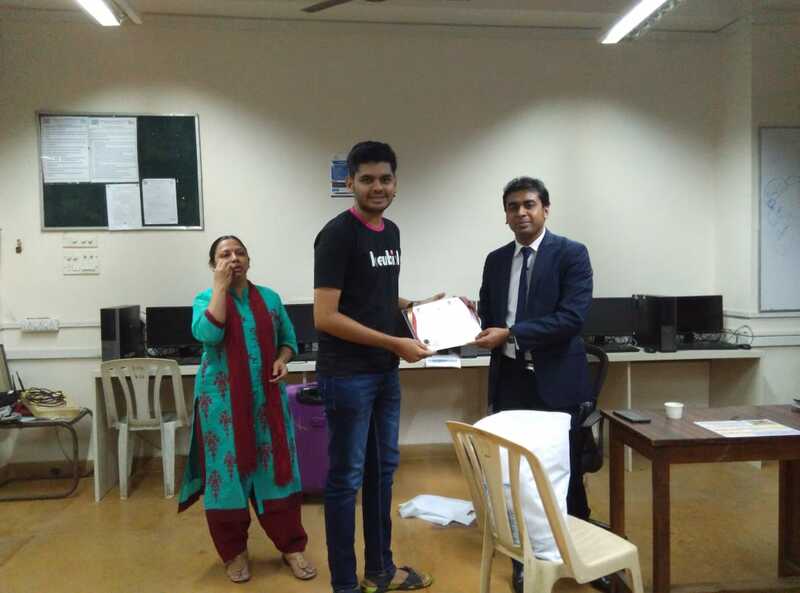 Conceicao Rodrigues College of Engineering on 16th March, 2018 for their Project Presentation titled ‘Data Preprocessing for Efficient Sentimental Analysis‘. Following papers were published in the proceedings of IEEE INTERNATIONAL CONFERENCE ON INNOVATIONS IN INFORMATION, EMBEDDED AND COMMUNICATION SYSTEMS, Coimbatore, 17th March 2017. 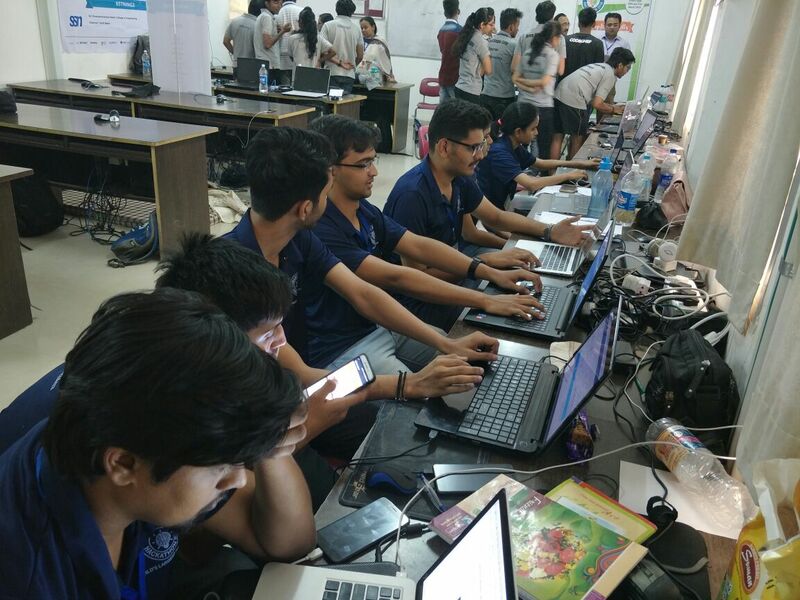 -Sandesh G.,Aakash I.,Tanmay N., “Review Preprocessing using data cleaning and strmming techniques”. 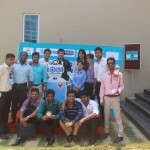 – Bibuti K.,Urvi S.,Vinit K., “Interactive Voice Response System for Office Automation”. 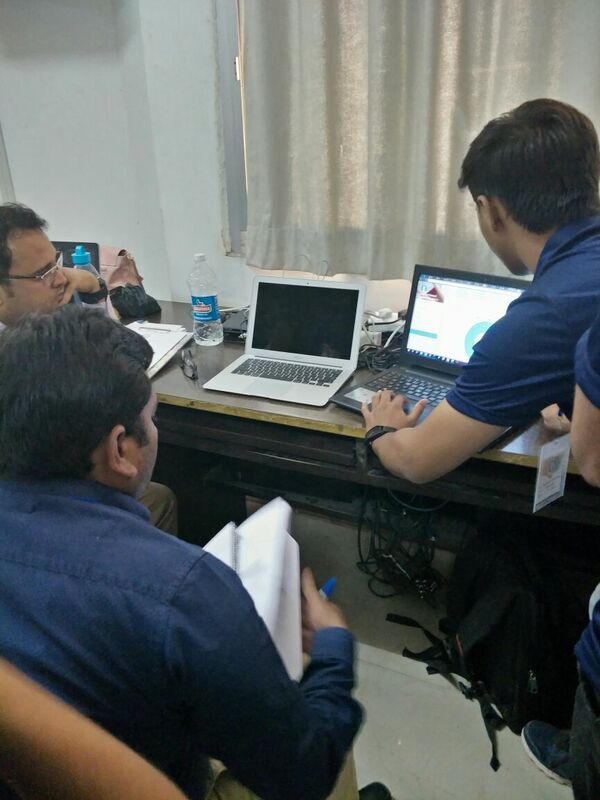 – Summit M.,Tejasvi B.,Nitin D., “Advance Steganography Using dynamic Octa Pixel Value Differencing”. 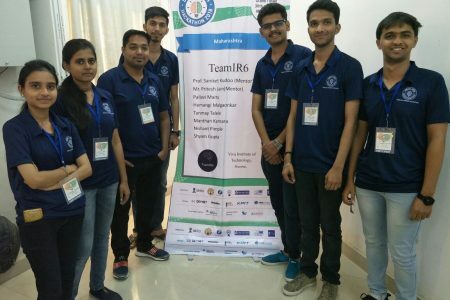 – Vaibhav P.,Sayli T.,Dattaram N.,“ Image Steganography Using Uniform Split and Merge Technique”. 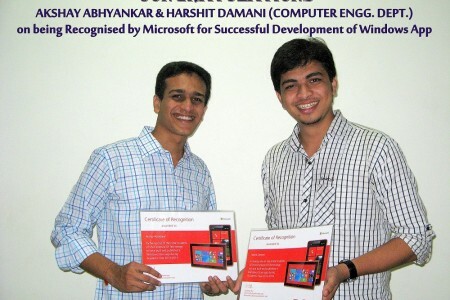 – Ninad P.,Rajesh P., “Dynamic Formation of Source Code in Editor”. – Aishwarya B.,Himanshu W.,Vashali B., “Steganography Using Pixel Pattern Matching and Key Segmentation”. 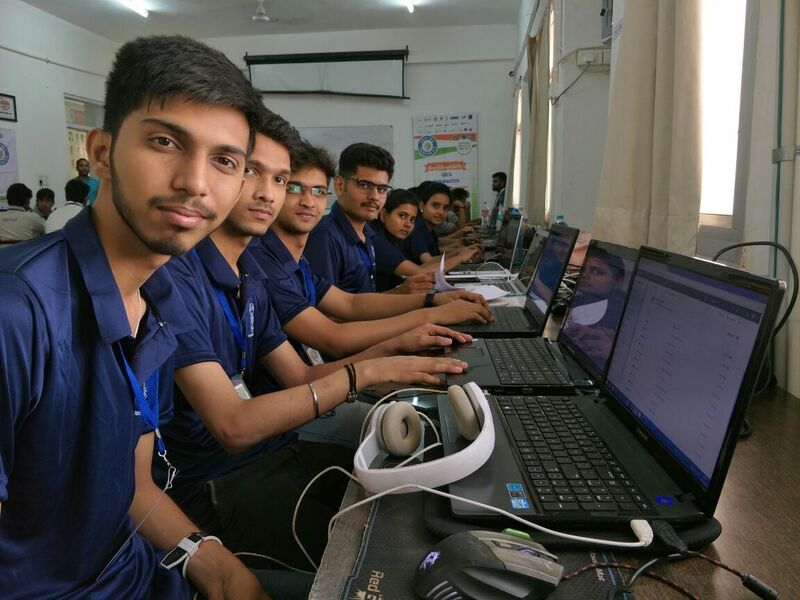 – Tanmay R.,Vinayak P.,Durgesh T., “Student Data Analytics for Performance Upgradation”. – Sayli M.,Shruti P.,Samruddhi W., “Prediction of Non Frequently Bought items for E-Shopping”. 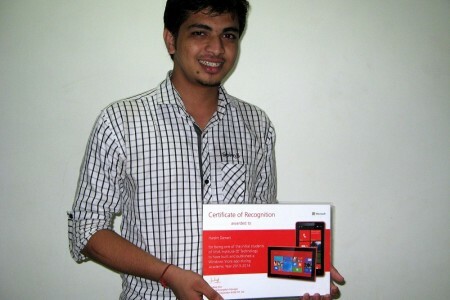 – Shrividya I.,Ritu M., “Sementic E-mail Addressing Using Digital Signature”. 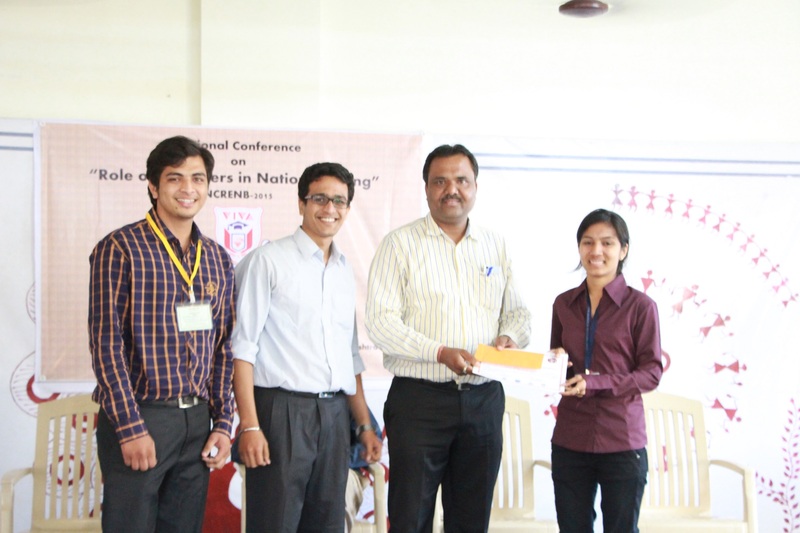 – Pratiksha G.,Sudhir K.,Manali B., “Prediction Model for Weather Forecasting Based on Data Mining”. 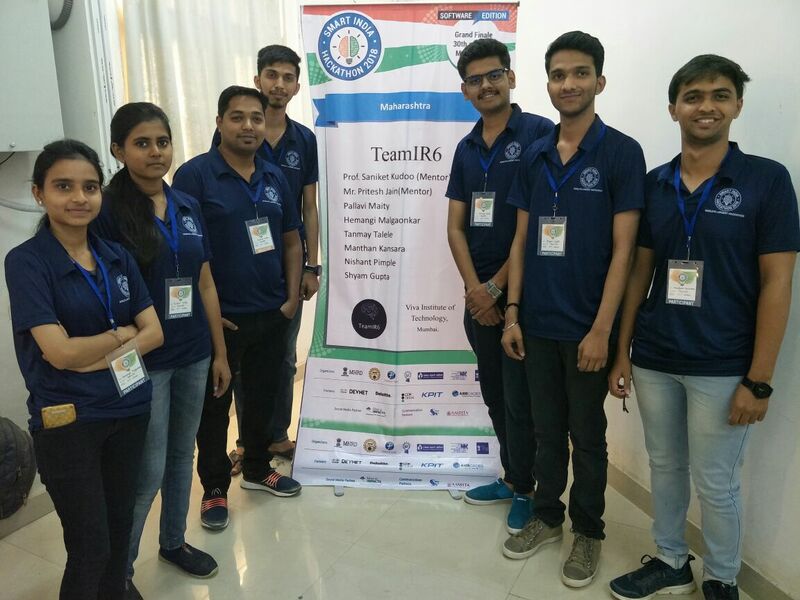 – Tejal P.,Sunil D.,Prashant C., “Three Level Security Implementation Using Graphical Authentication”. 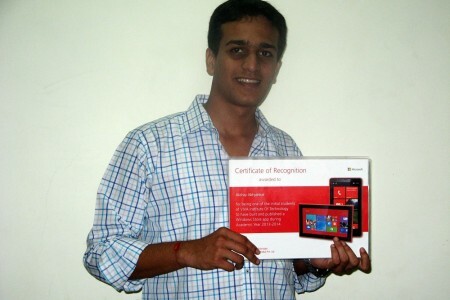 – Bhoomika C.,Kanad P.,Chetan G., “Providing Storage as a Service on Cloud”. 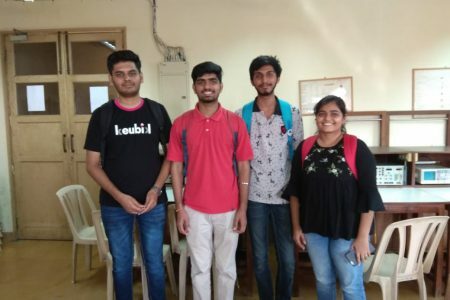 – Pravina V.,Bhavin B.,Pratik A., “Data duplication avoidance in Larger Database”. 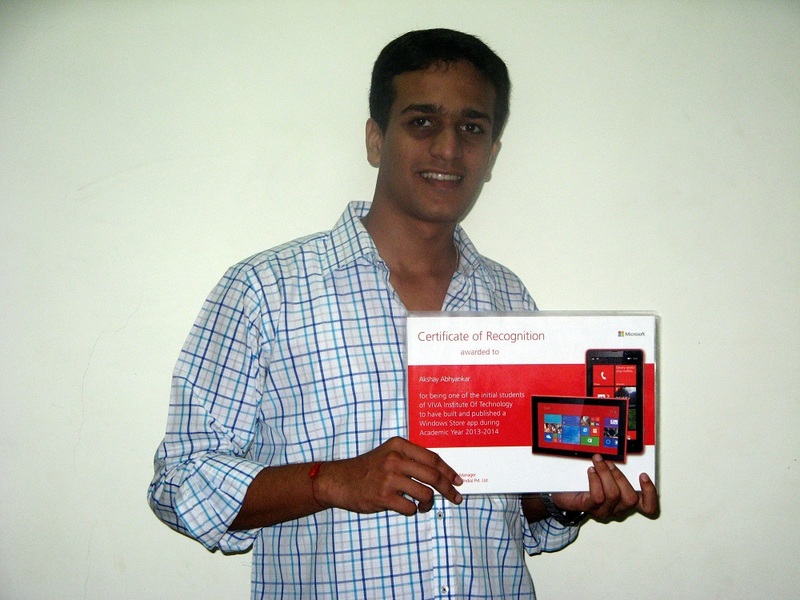 – Shweta B.,Priya P.,Siddhesha T., “Online Product Review Summerization”. 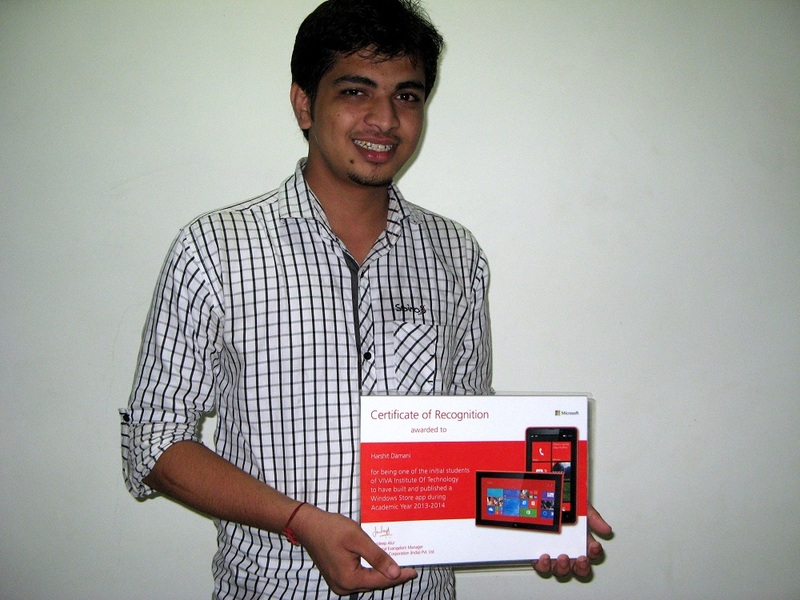 – Harshal S.,Supriya W.,Himanshu R., “Multiple remote Files Retrieving Through SMS”. – Deeraj S.,Kishor R.,Sohail S., “Diabetes Disease Prediction Using Data Mining”. 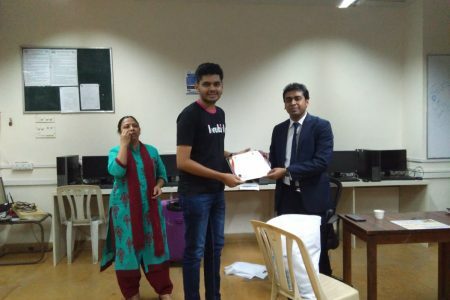 Tasmay Raikar, Vinayak Prabhu and Durgesh Tiwari won the Best Paper Award in the International Conference on Emanations in Modern Technology & Engineering 2017 held at Shree L. R. Tiwari College of Engineering on 4th and 5th March, 2017 for their research paper titled ‘Students Data Analytics Using Decision Tree Algorithm‘. Aishwarya Sarkale, Amol Gawade and Shriya Narvekar won a consolation prize in Folk Dance (group) event held on 2nd Sept, 2016 at Vidyapeeth Vidyarthi Bhavan under the aegis of 49th Youth Festival of University of Mumbai . 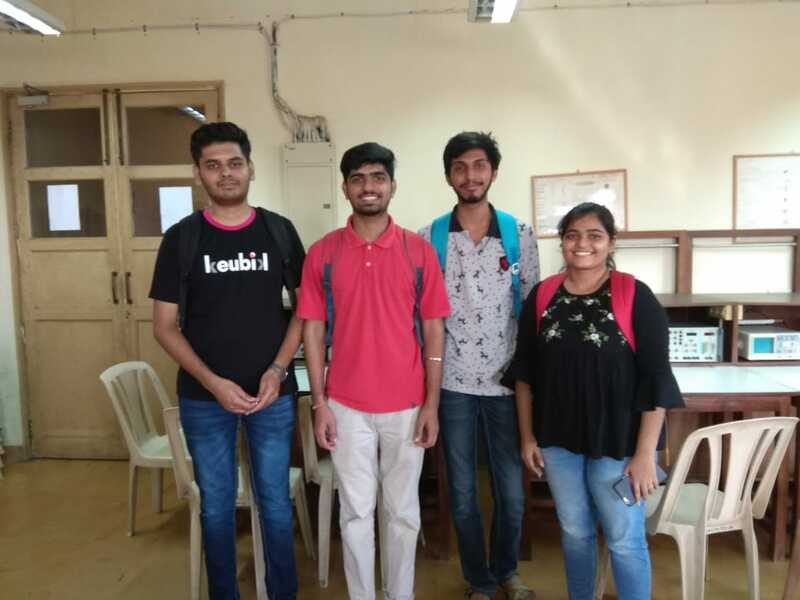 Shailendra Nipane, Harshal Pandit and Suraj Jadhav won 3rd Prize at ‘National Level Project Competition‘ held in April ,2016 at Vidyavardhini’s College of Engineering and Technology for their project ‘Secured E-Documents & Sharing using Encrypted QR-Code’. 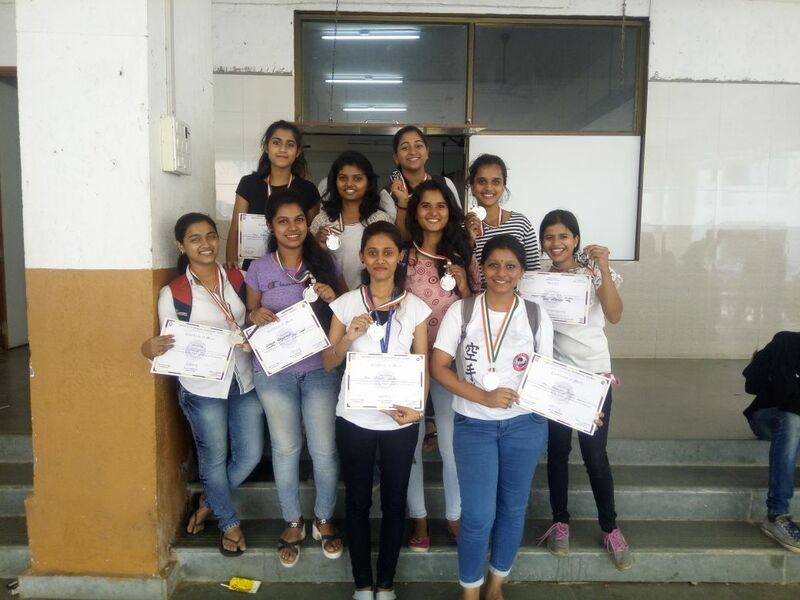 They also won Consolation Prize at ‘2nd National Level Project Competition, 2016′ held at Universal College of Engineering for their project ‘Secured E-Documents & Sharing using Encrypted QR-Code‘. 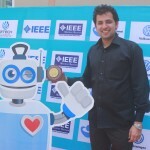 Following papers were published in the proceedings of IEEE International Conference on Engineering and Technology (ICETECH), Coimbatore, 17th March 2016. 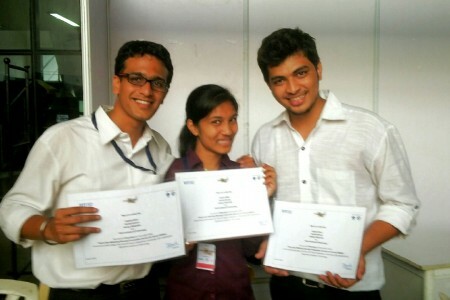 Harshit Damani, Akshay Abhyankar and Ashwini Bhoir secured the 1st Prize in NCRENB- 15 Project Showcase held at VIVA Institute of Technology. 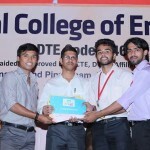 Also they secured 3rd Prize in National Level Project Competition held at Vidyalakar Institute of Technology. 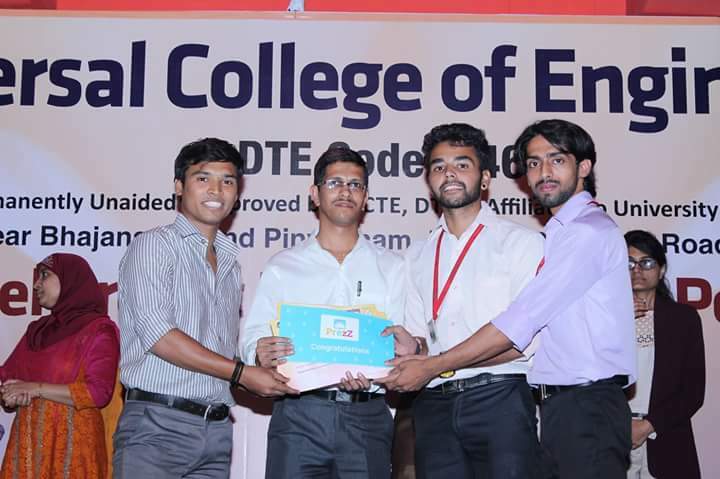 Shailendra Nipane, Harshal Pandit, Suraj Jadhav and Hiren Parmar won the Consolation Prize in ‘1st National Level Project Competition, 2015′ held at Universal College of Engineering. 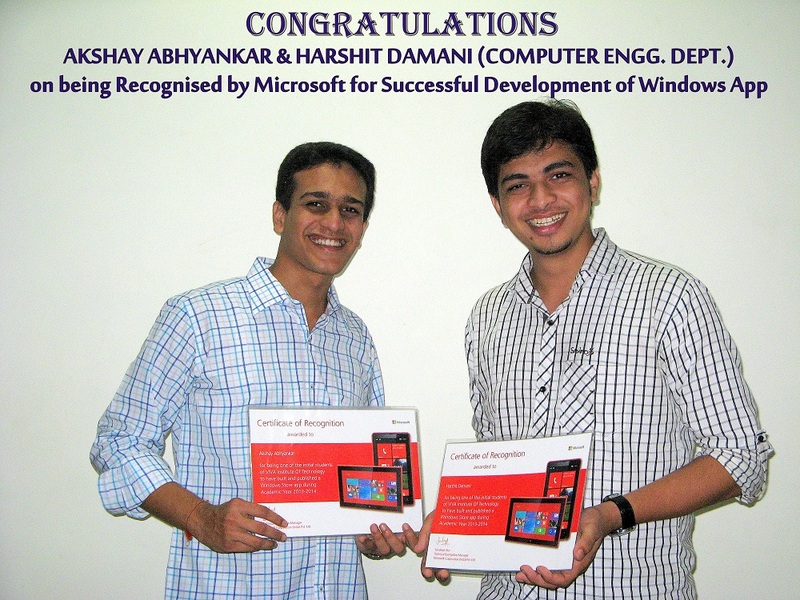 Akshay Abhyankar and Harshit Damani were recognized by MICROSOFT for successfully Developing and Uploading WINDOWS APPLICATION. 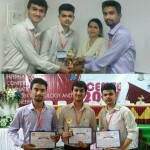 Writwik Bhattacharya and Akshat Mokashi secured 1st Prize in NCRENB- 14 Project Showcase held at VIVA Institute of Technology. 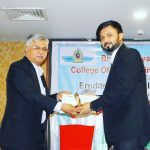 Prof. Tatwadarshi P. Nagarhalli was called to deliver a Guest Lecture on Data Analytics and Artificial Intelligence at Mahindra Institute of Quality, Nashik on 13th April 2018. Prof. Bhushan Talekar has received the Best TPO Award for Social Media Placements across Maharashtra at the Industry Academia HR TPO Meet, Pune. Prof. Tatwadarshi P. Nagarhalli and Prof. Ashwini Save have successfully applied for Patent for a security system called as ‘A SYSTEM FOR HINDI TEXT STEGANOGRAPHY USING ENHANCED VEDIC NUMERIC CODE ‘. 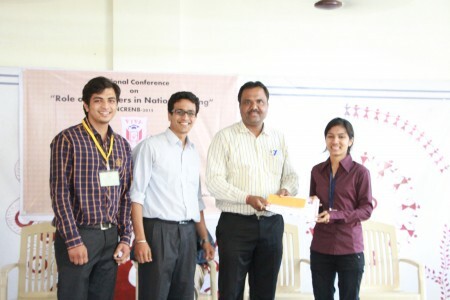 Prof. Tatwadarshi P. Nagarhalli, secured the ‘Best Paper Award’ in the 2nd IEEE International Conference on Engineering and Technology (ICETECH), Coimbatore, Tamil Nadu. 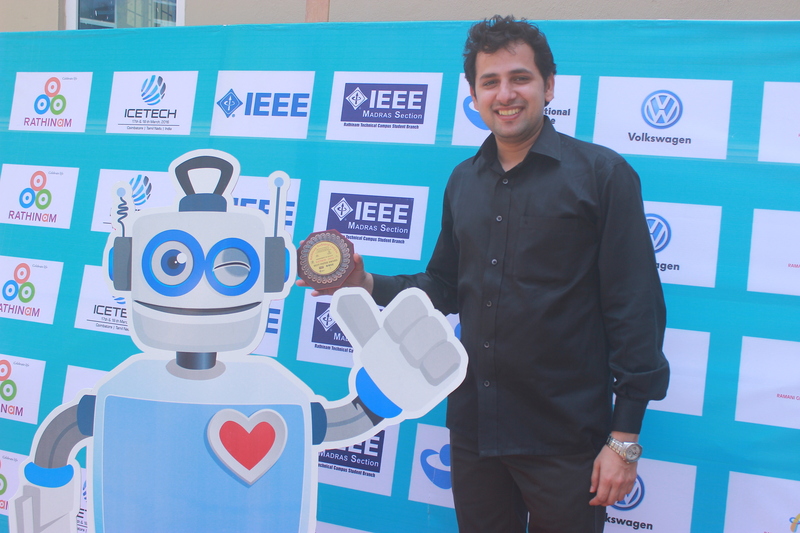 The IEEE International conference was held on 17th & 18th March 2016. Prof. Bhushan Talekar has successfully published two books as co-author for the Icebreakers publication. Prof. Pratiksha Deshmukh has successfully published a book on Java Programming as co-author for the icebreakers publication. Prof. BhushanTalekar has been an Advisory Board Member for International Journal of Engineering & Robot Technology (IJERT), ISSN : 2395 – 5597, since 2016.